Some holidays are a once in a lifetime experience, whether that’s travelling to Australia, trekking through South America, taking the train through Europe of driving across Route 66; some things are more than just a holiday, they’re an experience. Another place often on the list of holidays that are more than just a holiday is Asia. In fact, tourism in South Asia has been booming in the last few years, with international tourists heading to the region growing by 6.8% in 2017 from 25.17 in 2016 to 26.57 million. But one place you shouldn’t miss in this region is Sri Lanka. 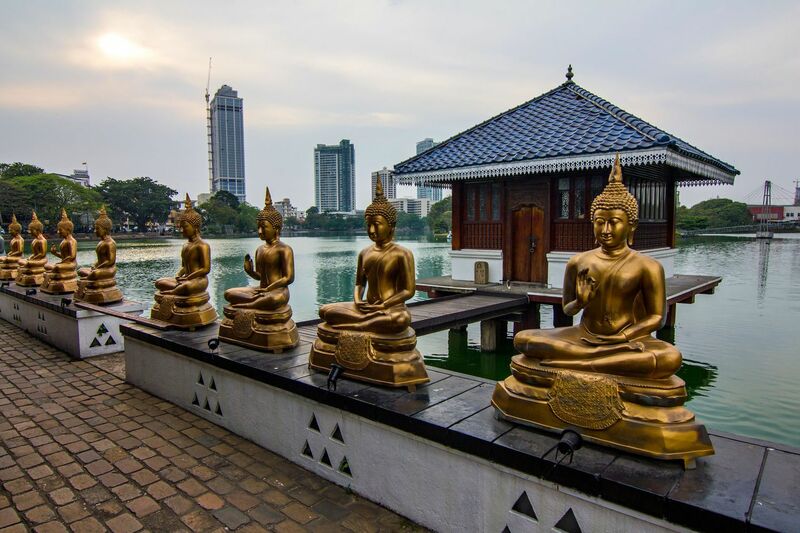 A stunning location, the area experienced 25 years of civil unrest that ended in 2009, and now a Sri Lanka holiday is definitely an experience that needs to be on your list. Below, we break down just why this destination is the latest hot travel ticket, and why you should get yours before they’re all sold out. A place that’s steeped in history that goes way past 1,000 B.C., this would be enough to make anyone want to visit. Although it’s only the tip of the iceberg, make sure you visit the ruined temples of the city of Anuradhapura, which has its history in the long-established ancient Buddhist culture. For as far as your eyes will see, this is a land of picturesque beauty that looks like it jumped out of a scene in a Hollywood film. With stunning beaches like Nilaveli on the northeast coast, which is desert like golden sand retreat, you’ll be spoilt for choice when it comes to natural beauty. Take a trip to the marine national park of Pigeon Island, where you’ll be blown away by the coral reefs, or explore the rolling grasslands of places like the Horton Plains National Park to name a few. One thing about Asia is it’s renowned for its fabulous cuisines and interesting delicacies, and Sri Lanka is no exception to that rule. A melting pot of exquisite tastes, you’ll be able to dive into local foods, where hot and tasty spices, fish and coconuts all take centre stage, amongst other mouth-watering delights not to be missed. Although you may not have thought of this, the area is filled with wondrous contemporary boutiques. Places like the city’s Good Market offer a great spot to go diving for fabulous souvenirs, as it’s filled with delightful crafts. Meanwhile, you’ll find plenty of designer spots to check of for some memorable wardrobe additions such as The Design Collective and Indi & Co.
Maybe you’re looking to forget the world around you and find somewhere you can’t be contacted. Well Sri Lanka has just the spots for you. With a history steeped in Buddhism, you’ll find plenty of wondrous wellness retreats just waiting to help you de-stress and wash away your troubles. There’s also no Wi-Fi, so it’ll be like stepping into a mystical land that time forgot, as you find yourself in a magical far away land.